Are you looking for Sunshine Coast home care services? Are you living with a condition or disability with complex care needs? We can provide Sunshine Coast home support services to help you manage the impacts of your condition but also assist you with everyday tasks that may be difficult for you to handle. 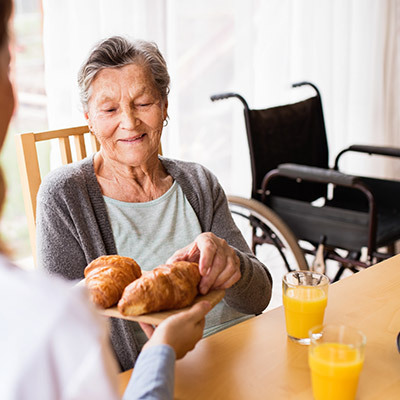 Beacon Support is a registered provider for the National Disability Insurance Scheme (NDIS) and has been delivering Sunshine Coast Home Care Services to the community for more than 17 years. In-home care packages are designed to help you live independently in your own home for as long as possible. The Australian government provides support for aged care home support for eligible individuals. Beacon Support can offer all levels of in-home care and create a home care package tailored to your individual needs. You get to choose what services you want and when you want them. The National Disability Insurance Scheme NDIS – offers support to people who are under the age of 65 and living with a disability. At Beacon Support we are more than happy to answer any questions you may have about funding options that may be available to you. You can also fund your own care from Beacon Support if you are able to. At Beacon Support we have a strong focus on providing Sunshine Coast home care services and support you can trust. Our team will work to ensure you feel safe and supported at all times. Regardless of what happens we know what to do and will deliver your care professionally and with empathy. Your Sunshine Coast home care services will be provided under the supervision of a Registered Nurse to ensure you receive quality care. We are also a registered NDIS provider. Call us today at 1300 435 782 or contact us via our online form for a consultation to find out more about our Sunshine Coast home care services.